BotChain is a decentralized bot registration, identification, communication, and audit platform built on the Ethereum blockchain and focused on businesses. BotChain will provide a platform for business bots to be managed. Bot builders will incorporate BotChain capabilities into their bots so that businesses can utilize the management capabilities. The BotChain platform will provide businesses with bot management capabilities such as audit trails of bot actions (what they did and why), bot identity management, knowledge sharing, and skill sharing. As of December 2017, MVP has not been launched and is expected to be launched in January 2018 with limited functionality, providing the bot identification tools only. The global chatbot market is expected to reach USD 1.25 billion by 2025, growing at a CAGR of 24.3%, according to a new report by Grand View Research, Inc. There are already both large players in the chatbot market, including Baidu, Poncho, Kik, WeChat, Money Inc, ReplyYes and SRI International, as well as smaller companies, already providing chatbot marketplaces, such as BotMakers Chatbot Marketplace and BotList. As of December 2017, MVP has not been launched and is expected to be launched in January 2018 with limited functionality, providing the bot identification tools only. As the commercial product is not available yet it is hard to evaluate it further. The roadmap of the product development provided by the team in WP seems too general and does not have enough specifics to analyze the feasibility of product development. As the service can only be accessed using BOT tokens, the potential customer base for Botchain might be smaller. Botchain will charge fees for the services. However, the team does not provide the commission level or any related specifics. That is why the commercial viability of the platform is not clear. Botcoin does not clarify the exact amount of issued tokens. The WP and BitcoinTalk forum tells about 30M BOT tokens, while on the ICO website they tell about 40M BOT tokens. The required investment ($22.5M) is significantly above the average size of the round of companies at the same stage. ($2M, According to Pitchbook). The team and advisors tokens reservation will be then around $11.25M and $15M which seems excessive, especially because the reserves are not tight to any KPI. The team does not provide any financial forecasts or assumptions for their growth. Botchain does not provide costs structure. Therefore, it is hard to say something specific about their financial model. The length of the ICO, the token delivery date, the exchanges where token might be listed is not given. The issued token – BOT token – will be used to pay for the services provided in system. The team gives some examples of use cases but this list is not complete and is subject to change. The team has previous experience of working together at Talla – A.I. powered startup that raised already $12.3M. However, this focus on two projects at the same time might jeopardize growth opportunities for Botchain. The Blockchain architect – Matt Conway – is on freelance and is not employed at Botchain. The core team lacks marketing and sales people. This can slower the expansion of Botchain. Botchain is entering the market of platforms for chatbots. Nowadays, chatbots find various applications in E-commerce, healthcare, and other sectors. The global chatbot market is expected to reach USD 1.25 billion by 2025, growing at a CAGR of 24.3%, according to a report by Grand View Research, Inc. There are already large players in the chatbot market, including Baidu, Poncho, Kik, WeChat, Money Inc, ReplyYes and SRI International. Also, several smaller players are developing marketplaces for chatbots – the area that Chatbot is also trying to get. Among them, BotMakers Chatbot Marketplace and BotList have to be mentioned. Both of them already have working products thus without Blockchain integration. Also, the growing demand for Business Process-as-a-Service (BPaaS) is expected to yield growth opportunities in this sector. 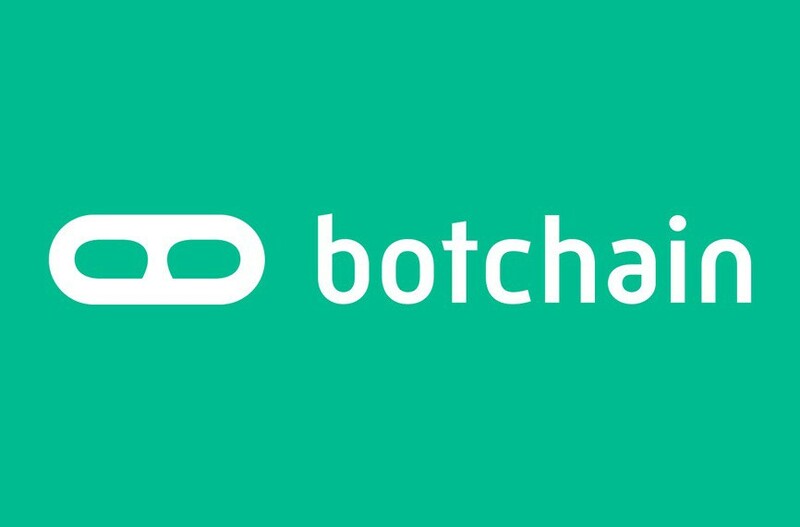 BotChain is aiming to create a platform for the commercial usage of chatbots. The platform will essentially able to provide three main features: 1) Identifying a bot 2) Chatbot’s activity audit trail 3) Marketplace for the Chatbot add-ons. Initially, the identification toll for bots will be launched. As of December 2017, MVP has not yet been launched and is expected to be developed by January 2018. This version will have limited functionality, providing the bot identification tool only. As the commercial product is not available yet, it is hard to give any further comments on the product. The roadmap of the product development provided by the team in WP seems too general and does not have enough specifics to analyze the feasibility of product development. As mentioned before, Botchain will create a platform for more effective use of chatbots in different businesses. The platform will allow to identify bots, audit their activity and will also create marketplace for chatbot add-ons. Botchain will charge commissions for these services. However, the team does not provide the commission level or any related specifics. That is why the commercial viability of the platform is not clear. As the service can only be accessed using BOT tokens, the potential customer base for Botchain might be smaller compared to the situation if they allowed using fiat currencies. BotChain does not clarify the exact amount of issued tokens. The WP and BitcoinTalk forum tells about 30M BOT tokens, while on the ICO website they propose 40M BOT tokens. When the clarifying question was asked on their Telegram Chat, the team did not answer the question. Assuming that the team issues 30M BOT tokens for $2.5 per token(the price is given on their website), the soft cap will be $22.5M (Botchain is planning to sale at least 30% of the tokens, additional 20% tokens can be sold in case of high demand). The hard cap then will be $37.5M. However, on BitcoinTalk forum discussion the team says that minimum required investment is $15M. Regarding of the final sum, will it be $15M or $22.5M, both of these figures are significantly above the average size of the round of companies at the same stage. (Seed stage, $2M, According to Pitchbook). Botchain will reserve the remaining 50% of tokens for different purposes. The core team will reserve 15%, advisors will get 20%, 10% will be reserved as Talla holdings, and the remaining 5% will be kept to create Botchain foundation. Botchain Foundtation will be created to support long-term health and expansion of the BotChain ecosystem. The team and advisors tokens’ reservation will be around $11.25M and $15M which is a huge amount. Moreover, these bonuses are not subject to any KPI. The team does not provide any financial forecasts or assumptions for their growth. What is more, the team does not provide costs structure. The length of the ICO, the token delivery date, the exchanges where token might be listed is not given. The issued token – BOT token – will be used to pay for the services provided in system. The team gives some examples of use cases (Payments to the Ethereum network to build/maintain ethereum blocks, payment to the Botchain network to store update network, payment to marketplace sellers) but this list is not complete and is subject to change. The CEO – Rob May – has previously launched Backupify – cloud-to-cloud backup start-up and raised $19.5M from several angel investors and venture funds, according to Crunchbase. Also, the team has previous experience of working together at another AI startup – Talla. Talla is an A.I. powered startup that raised $12.3M (crunchbase data). However, focusing on two projects at the same time might jeopardize growth opportunities for Botchain. Also, there are two more significant issues with the team. First of all, the Blockchain architect – Matt Conway – is on freelance and is not employed at Botchain. Also, the core team lacks marketing and sales people. This can slower the expansion of Botchain.